I seldom use Sago for evening snack. However my mum's cook did this during my recent India trip and kids liked it. I also had Sago stock (which I wanted to finish it). I roughly had an idea about what she did. I tried it today for quick evening snack as kids wanted something crunchy. I was so lazy to try any chutney.. I served with sauce. This is perfect for even bachelors! Soak the Sago for 4-6 hours. 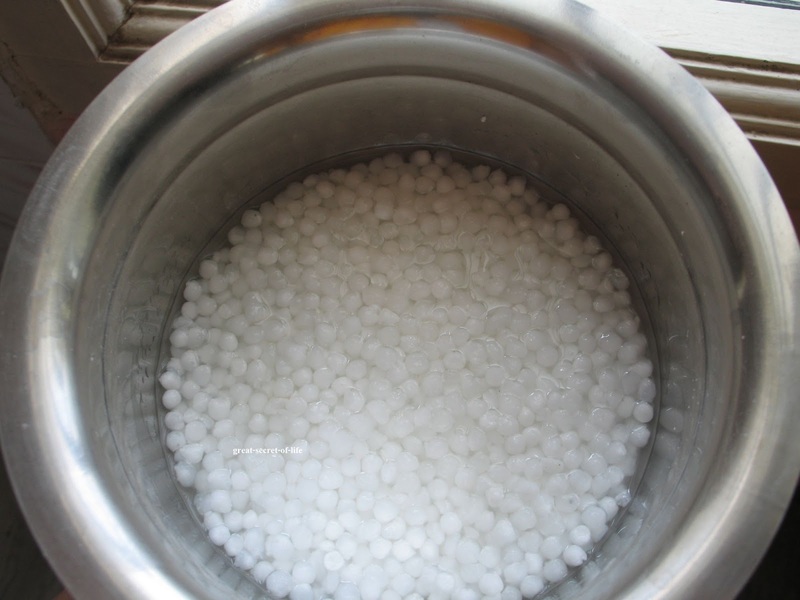 Drain the water from Sago. 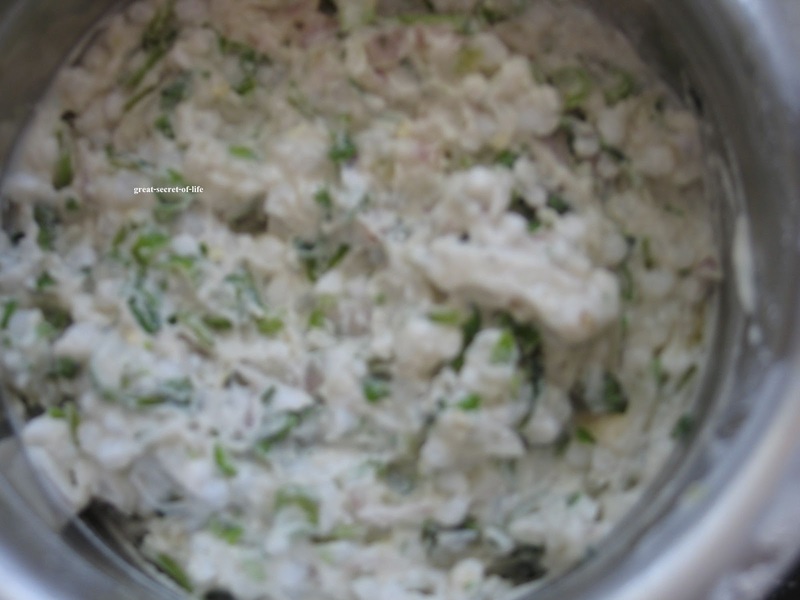 Combine all the ingredients except oil in an boarder bowl and mix well to make the batter. 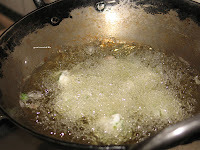 Heat the oil in a kada (for deep frying). When the oil is hot take the batter in the hand (about small lemon size) and drop it in the oil. These look so crunchy and moreish! 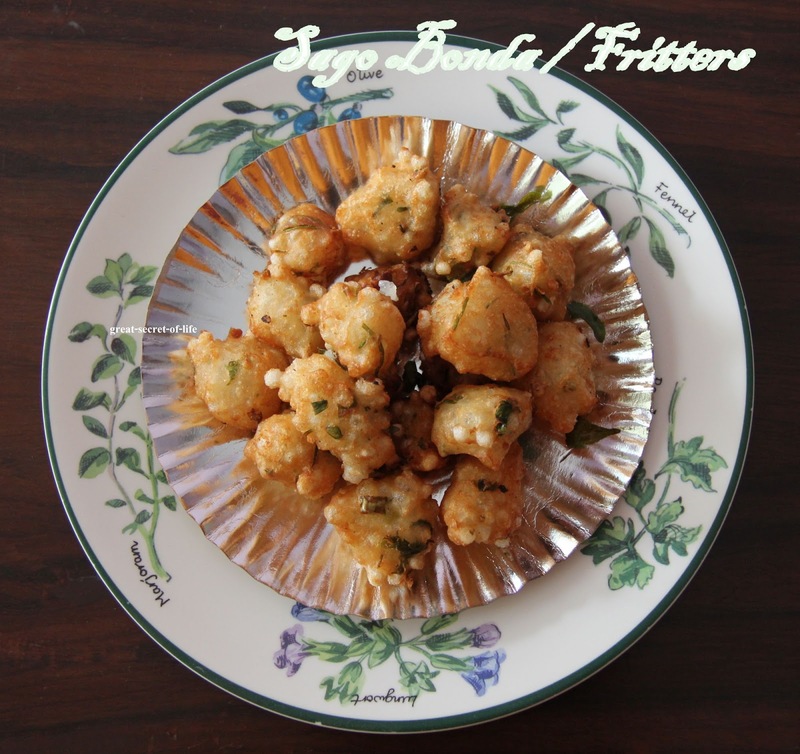 Bonda with sago is new to me..but it looks yummy...will try it for sure. 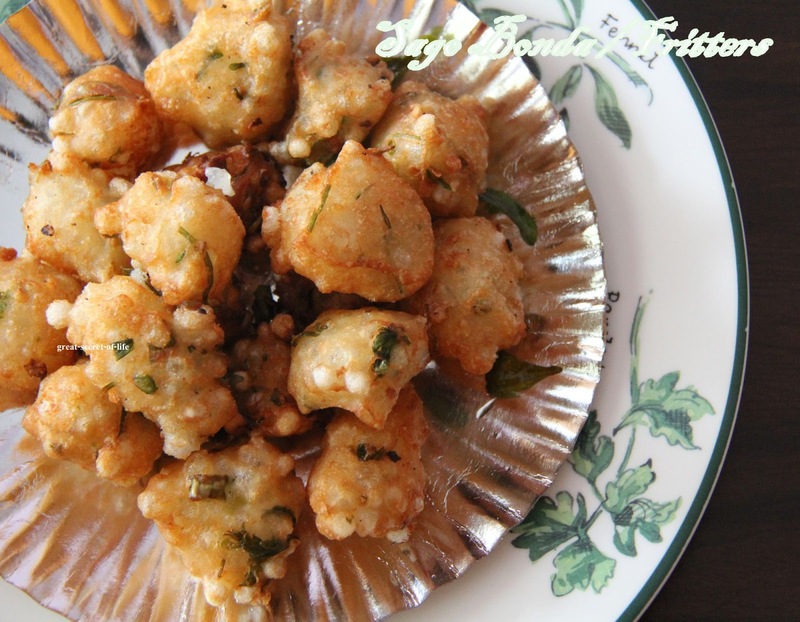 Different recipe using sago.loved your clicks. Would love to munch anytime, crispy bondas makes me drool. I have half packet of sago in my pantry. THANKS FOR THE recipe, I will make it tomorrow.